Far too many employers get tangled up in defining their job descriptions. In particular, one common mistake is the belief that if one person had a particular set of skills, more people like them must exist. In other words, your star employee Karen had a particular set of skills, so there must be "another Karen" out there in the market---someone that could perfectly fit the Karen-shaped hole she left behind. However, in designing jobs, you will be more successful when you look for skill combinations that are "commonly found in nature," rather than trying to replicate the skills of any one individual. This is especially important when replacing a long-time employee. Like vines on a trellis, jobs grow around your stalwart long-term employees, conforming to someone’s particular set of skills. What you end up with is a position that fits one person extremely well, made up of a hodgepodge of unique skills. But that hodgepodge of skills doesn’t necessarily fit the skills of any other human being in the job market. To write an effective job description, the first step is to be clear about the work you want to have someone do. And in fact, many job descriptions do a decent job of listing out the daily tasks. Somewhat fewer employers do a good job with the second step of writing an effective job description: defining what success looks like. This involves clarity on what you’d like to achieve from filling the position with someone great. And the third step is the real key to writing an effective job description: conducting a market reality check. You must look at how well the job is designed to fit the skills of the available people in the job market, or why someone would want to take the job. Whether there are any people in the market with the combination of skills you require. Whether enough of those people are willing to consider taking a new job. Whether your salary budget is enough to attract the most highly qualified people. How your open job compares to the jobs offered by other employers. You’ve organized the work in a way that seems familiar to you. But did you organize the job (or your department) in a way that is attractive to the people you want to hire? Are there better ways to organize the work that would make your job even more attractive to top performers? And/or are there smarter ways to organize your team that could accomplish greater results with a lower salary budget? Have technology changes made the work easier, harder, more important, or more impactful? What future technology improvements will change the nature of the work? Is there a potential technology change that will affect the market for top performers? 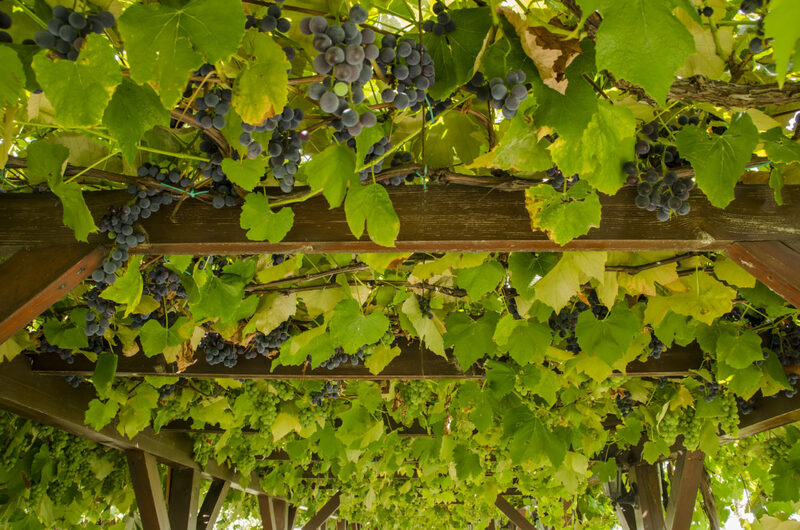 Your job descriptions needs to be more like the trellis and less like the vine, providing a strong platform for individual personal growth, but not trying to follow any one individual’s career path. An association called us because their IT Director had resigned and their search for a replacement was going poorly. From speaking with them, it was quickly apparent that the previous Director had a unique combination of skills. He was good at database administration, and about ten years ago he also taught himself web design. As the organization grew, the demands on the IT Director’s time grew. At the same time, the technology underpinning both halves of the job was rapidly evolving. Other employers were increasingly hiring either database experts for their IT team or web design experts for their communications team, but almost nobody organized the work the way our client did anymore: website design and management had gradually migrated from the IT realm into the communications realm. This association was trying to follow a career path forged 10 years ago in a different technology environment. They followed best practices in step one and step two of their job description development, but by not doing a market reality check, their hiring efforts were doomed to failure. It can take two years or less for a position to veer off the path, going from completely stable and easy to recruit, to turbulent and impossible to recruit. Whether you’re designing a job based on outdated information, or searching for a replacement to a rare unicorn employee, you’re doomed to failure without considering the larger market. Step 1: Talk to someone who knows the job market. You want to find someone who has seen how several different organizations organize the work, so they can tell you what a real job might look like. Step 2: Look at compensation surveys. You need to understand what the market rate for compensation is, so you can pay appropriately to get someone good. Step 3: Look at job ads from similar organizations (or even vastly different organizations) to see if they are looking for the same blend of skills requirements that you are looking for. Step 4: Consider what would make your job attractive to the right people. You can’t please everybody, but you can please the people that would fit into your culture. Step 5: Take advantage of our 6 Steps to Writing Job Descriptions that Attract Great Candidates. We’ve found that following the guide can make your job postings twice as effective.